In his 1950s heyday, N.C. Hunter was known as the ‘English Chekov’. His gentle comedic dramas were performed by actors from John Gielgud to Vanessa Redgrave, and were some of the biggest West End hits of the post-war period. After some savage reviews, and the arrival of the Angry Young Men (who soon dominated 50s theatre), Hunter fell out of favour with the theatre world. 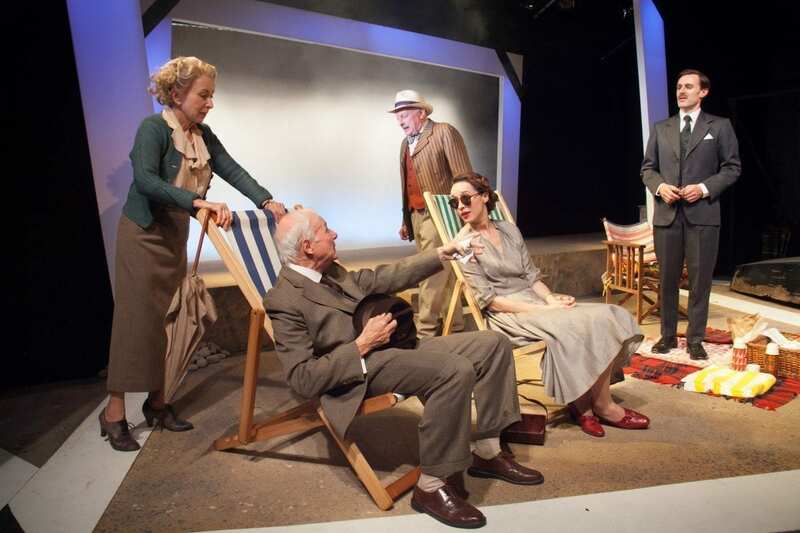 Two’s Company’s revival of A Day by the Sea (his most successful piece) at the Southwark Playhouse is charming and watchable, but never quite packs the emotional punch that it should. Our story begins in the seaside home of an upper class family. Unmarried, work-obsessed Julian Anson (John Sackville) returns home from his foreign office base in Paris to visit his mother (Susan Tracy). However, she is not alone – with her is Julian’s old childhood friend, Frances Farrar (Alix Dunmore), who lived with the family when her own parents passed away as a child. Frances’s life is now more complicated, due to various romantic scandals; tensions are running high. 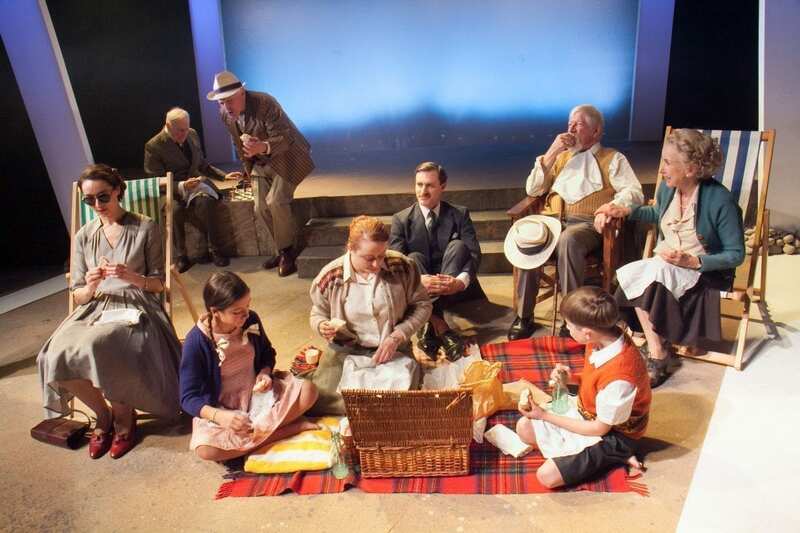 As various different family members talk about times gone by, they all plan a picnic on the beach. Underneath this picture of English, beachside idyll, the family balances on a knife edge. Alex Marker’s set design and Neill Brinkworth’s lighting combine to deftly capture the atmosphere of a very English, summer home. The lighting is soft and gentle, capturing the mood of an August day; birdsong can be heard in the background; little details like a swing rest to the side of the stage. The beach scenes too, are simple but effective – with relatively few props, the production manages to capture a coastal ambience through the pastel lighting and tidal sound effects. As the lights dim in the auditorium, it is easy to soak up this aura: we are seamlessly transported to Dorset before the real action has truly begun. Indeed, many of the problems rest with the script rather than the performance itself. Dunmore and Sackville brilliantly portray the pain of the romance-that-never-was; their acting is filled with pathos as they speak about what might have been. Tracy provides a strong comic turn as the fussy mother; David Whitworth is humorous as the elderly, forgetful father, confined to his chair as the emotional action takes place. Tricia Thorns’s direction is pared down and subtle – her actors are genuine without being over the top. However, the play never manages to provide the emotional resonance that it should. N.C. Hunter’s dialogue is too restrained – the characters hold back too much, and when they finally do say what they mean, it is underwhelming. One never feels that too much is at stake – whilst the characters face both personal and professional obstacles, it is difficult to care about them. The play is at least 45 minutes too long; it loses momentum at several points as the actors struggle to prop up a tired plot. It all feels a little limp – as though this could have been a great play, if it had just got a few more hours sleep and eaten its greens. Whilst Two’s Company’s revival of A Day by the Sea is a solid production, it fails to deliver the emotional impact that it needs to be memorable. 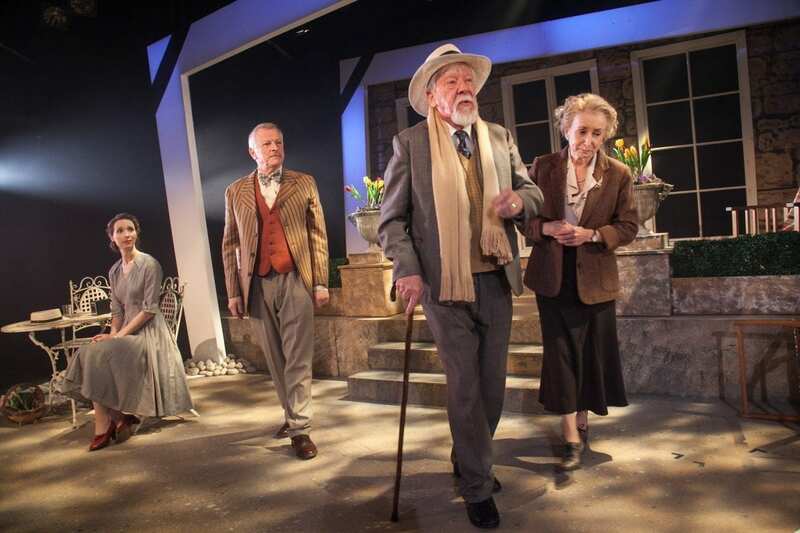 This production at the Southwark Playhouse is certainly enjoyable, but does not entirely compensate for the flatness of the play itself.